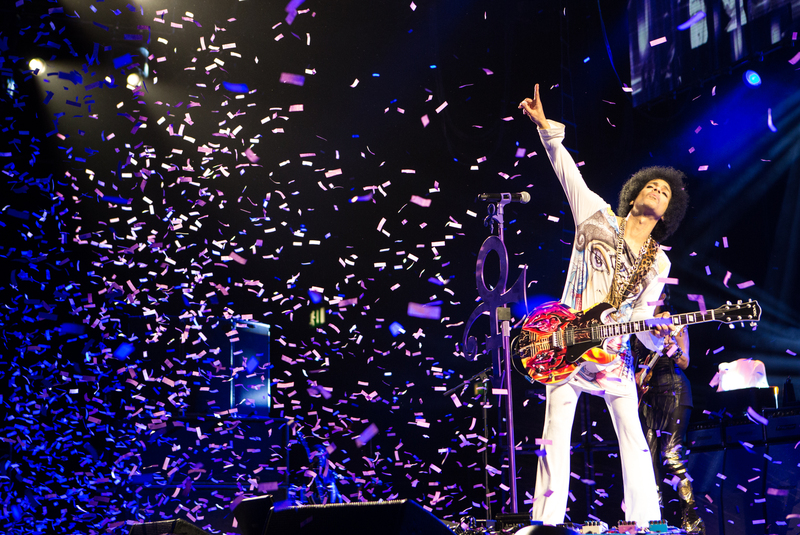 A mighty long time indeed: so long that many of us have been able to sit back and watch the many phases of Prince with wonder for our entire lives – from the strutting teen debutante who looked like he had landed from another planet to invent the 1980s, to the ruffle-wearing Paisley Park dandy of the MTV era and on to the silver screen superstar who made an entire film out of petulantly leaping onto over-sized motorbikes and roaring off through neon back-street puddles. We’ve seen him evolve beyond the emancipated ‘slave’ of the 1990s, whose opposition to the cut-throat practices music industry seemed like folly at the time, but was actually the visionary work of a man who, like Elvis before him, was simply Taking Care Of Business. Then into the millennium Prince, casually embracing the internet and anonymity while others were busy embracing over-exposure and selfies.